Grey struggles to shake off its reputation for being boring. When they hear the word ‘grey’, many people think of concrete. But that’s not fair! After all, this is a colour that comes straight from nature. Its wide variety of shades reflects the myriad colours of the stones and rock faces found in forests, mountains and by the sea – and these could hardly be more diverse. 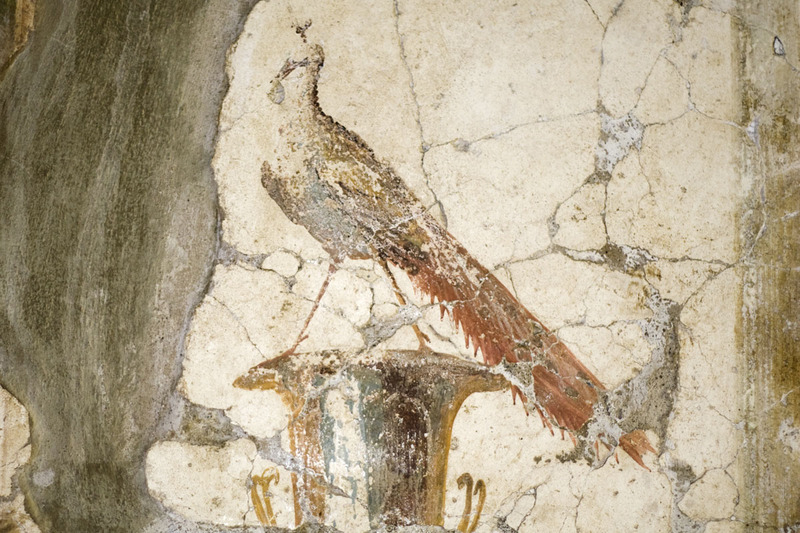 Grey was also found in Pompeii, where it was brightened up with accent colours. Grey is generally regarded as highly sophisticated, with grey suits seen as a sartorially elegant choice for men and women alike. When combined with an accent colour, grey can convey a vibrant elegance. When deployed skilfully, grey can guide attention within a living space. 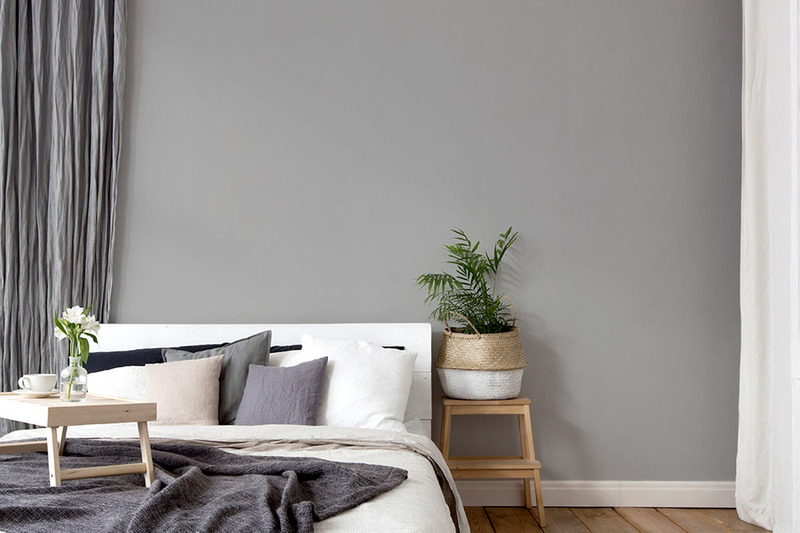 Grey walls and ceilings are understated – and the ideal stage for colour harmony. Furniture and other items appear particularly refined against a grey background. When grey is mixed with bright accent colours, the result is upbeat and vibrant. But it’s all about the right dose. To stop grey from seeming too monotonous, we recommend splashes of colour in black and white. Antonia Tryphaena, a great-granddaughter of Mark Anthony, was the Queen of Pontos in the first half of the 1st century and a central figure in the eastern Mediterranean. Saint Paul mentions her in Romans and honours her commitment to the cause of early Christianity. Her two sons and her daughter ruled over Pontos, Thrace, Lesser Armenia and a portion of Arabia. But as is so often the case with historically significant women, the rest of her story is shrouded in mystery, a fact which is symbolised by this light shade of grey. Gallia was a popular woman’s name in Rome, but also referred to Gaul, the territory that corresponds to broad swathes of modern-day France (the country in which the Colours of Pompeii are produced). This elegant shade of grey is therefore also a homage to France, the cradle of fashion and elegance. The French are always finding new ways to express beauty in grey. Poppaea Sabina, born in Pompeii in 32 A.D., was the second wife of Emperor Nero. Before Nero, she was married to Otho, a future emperor himself, and, before that, Rufrius Crispinus. Poppaea was regarded as one of the most beautiful women of her day, not to mention educated, clever and with an understanding of irony. As with most strong women in Roman history, she was accused of being of bad character, with a taste for luxury. She allegedly bathed in donkey milk every day to make her skin firm and pale. This grey shade calls to mind donkeys, a touch of irony that Poppaea would no doubt have appreciated. That aside, the elegance of this shade of grey very much befits her.